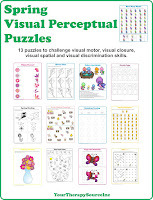 Challenge visual spatial and visual discrimination skills with this puzzle. Can you find the two cards that are exactly the same? 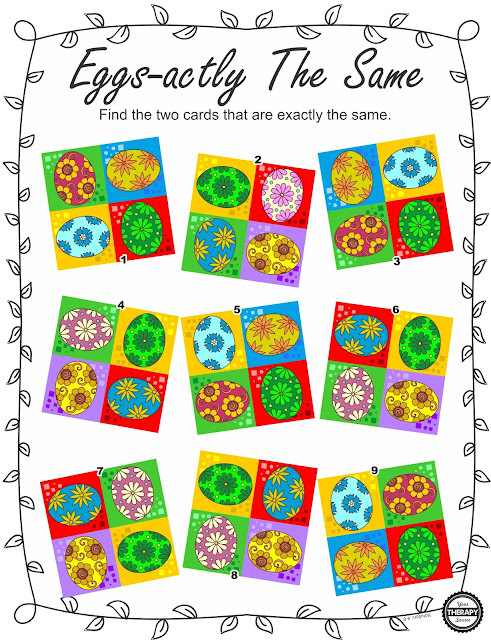 Download the puzzle Eggs-Actly the Same puzzle from Your Therapy Source. Get more Spring Visual Perceptual Puzzles.